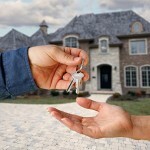 Homeowners to Lenders: You Will Not Foreclose on Us! Coast to coast, desperate homeowners have become so frustrated by months, even years of lenders' backpedaling on their mortgage payment modification promises that they are sending a message loud and clear: Put your money where your mouth is! Since patience has gotten them nowhere, they're taking their plight to someone with the power to make the mortgage lenders sit down and listen. They're taking their mortgage lenders to court. The circumstances vary as do the homeowner's situations and homes in question, but their stories follow a similar thread - one that is connected to two federal programs ironically conceived to help them out. 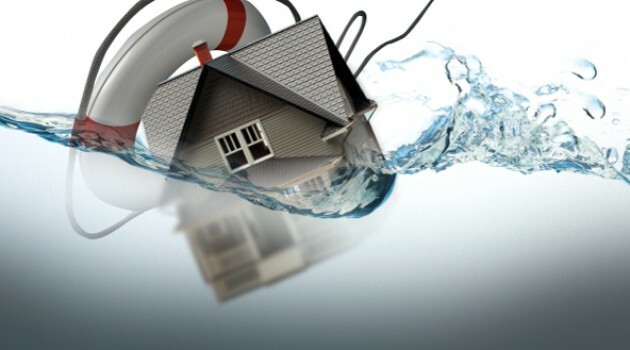 The Home Affordable Refinance Program (HARP) was set up by the FHA in 2009 to, as their website states "help underwater and nearly underwater homeowners re-finance their mortgages." All the homeowners bringing the lawsuits took heart in the website's rejoinder "Come join the 900,000+ people who have benefited." They did, but they didn't. That is, they joined, applying for HARP loans at banks administering them, but they got nothing beneficial. The same was true for those who breathed a sigh of relief when they came upon the website of the Home Affordable Modification Program (HAMP) with its mission statement: "designed to provide deep and meaningful savings for homeowners devastated by unaffordable increases in expenses or reduction of income." They too did what was asked of them but found themselves at the same bank set-up roadblocks. Greedy lenders, like highway robbers, were out there, using the programs to double deal them. These weren't fly-by-night operations, but banks with storied reputations, who felt that they could make more money on a foreclosure than they could on a restructure, and so they found a loophole in the "trial loan period" required by the modification program. While the customer made the mandated temporarily reduced payments and submitted the required paperwork, the lenders reneged on the deals and initiated foreclosure procedures anyway. Both HAMP and HARP (the latter which will cease to accept applications after December 31, 2015) have promised to tighten this requirement, but this does nothing for those faced with losing their homes, other than to leave them feeling helpless. Backs against the wall, they came out swinging - all the way to the courthouse..
One homeowner, a real estate broker, delinquent on payments, frustrated in her attempts to get her mortgage modified, and facing foreclosure, took Wells Fargo and Fremont Investment and Loan to court, alleging that the mortgage lenders had violated both the Real Estate Settlement and Procedures Act and the Truth in Lending Act. Her lawsuit also accused Wells Fargo of engaging in predatory lending practices since they granted the loan despite having the paperwork to show that the probability of her being able to meet the obligations were "unreasonable". Meanwhile, one state west, a California family, two weeks away from seeing their home go on the auction block, and having tried everything else sued their lender. Like the number of California lawsuits that ballooned from 29 to 1,400 in the course of five years, theirs contended that the lender had reneged on a promised loan modification. The non-English speaking husband who'd signed the English-only loan documents was astounded when their $2,500 monthly payment shot up to $4,353. While they were able to get the lender to grant them a loan modification, it all fell off the tracks when Linton Loan Servicing refused to move on to a permanent modification on the grounds that the last of the three trial payments had been late, despite the homeowners producing Western Union tracking information to the contrary. Clear across the country, in Massachusetts, the story was familiar. In the Boston area alone, four homeowners were suing banks including Wells Fargo and Bank of America for - you guessed it - breach of promise. 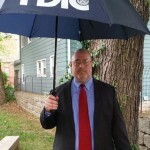 As one plaintiff flavorfully put it, he followed all the Federal directives the bank required, only to be given the shaft at the end of the required trial period. If like these law-abiding homeowners you've worked with a financial institution to modify your mortgage, only to find that at the last moment they pulled a fast one, don't sit back, and let the big guys (in the words of the Bostonian) give you the shaft. Let Peace of Mind, LLC help you win your battle.